This low-carb pizza alternative is sure to be a favorite in any household- no kids required! 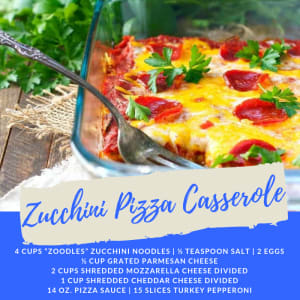 It's a quick and easy way to get in some veggies while also enjoying some cheesy pizza. If you're trying to limit your indulgence, you can easily cut the recipe (and leftovers) in half. One Serving Equals: 220 calories, 14g fat, 824mg sodium, 7g carbohydrates, and 16g protein.